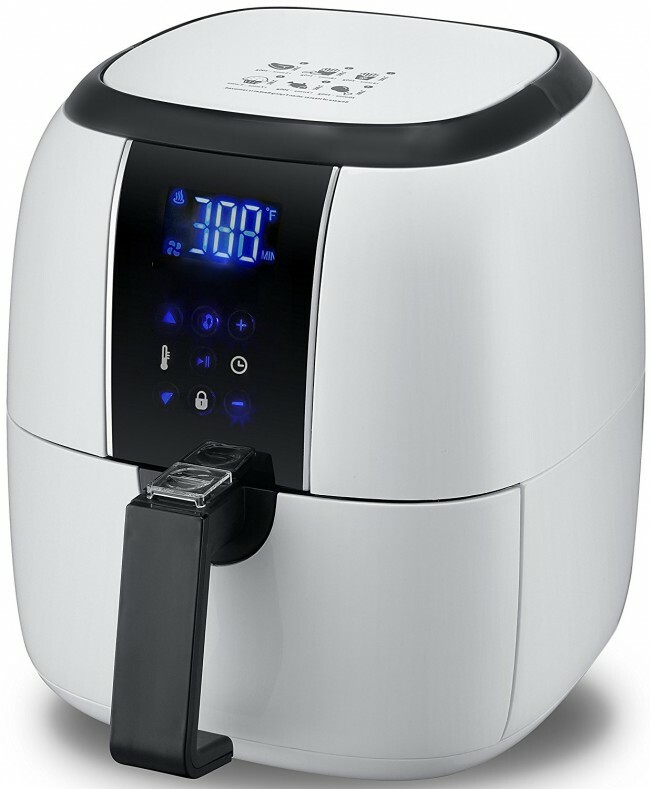 POWERFUL & ADJUSTABLE – Comes equipped with 1400W power, high-speed air circulation technology, a touch-sensitive control panel and a clear digital LED display screen. 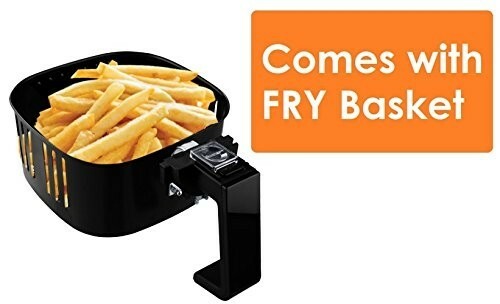 CONVENIENT – Features 6 preset cooking programs (fries, fish, steak, pastries, etc) a timer (< 60 min), a fold-in handle for portability and easy storage, has dishwasher-safe parts, and auto shut-off for safety. 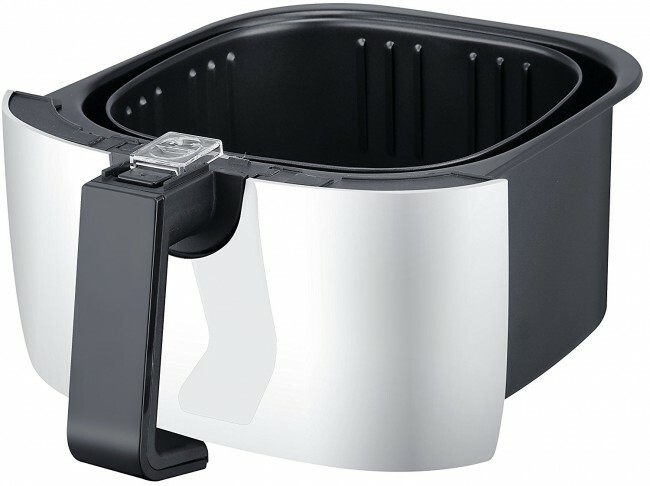 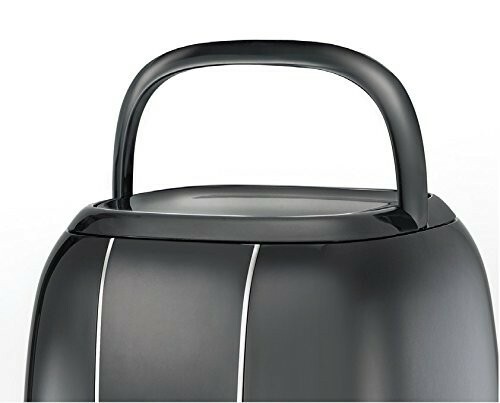 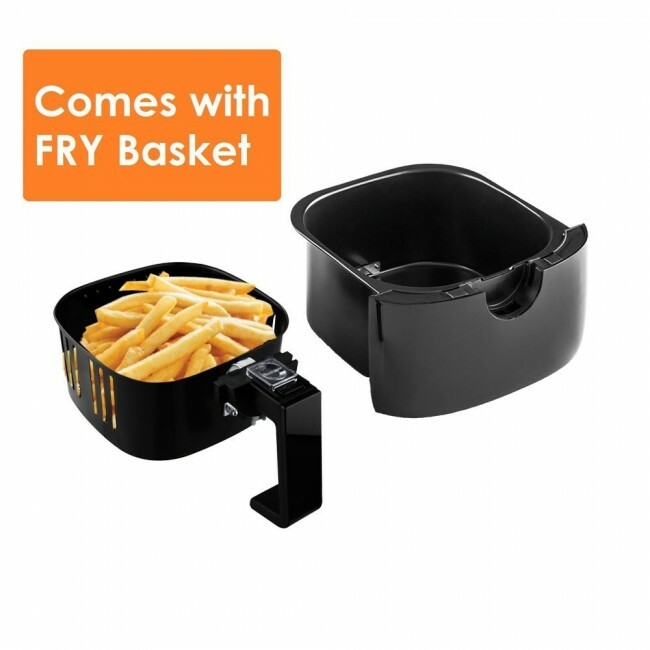 3.2 QT capacity: with a non stick removable basket. 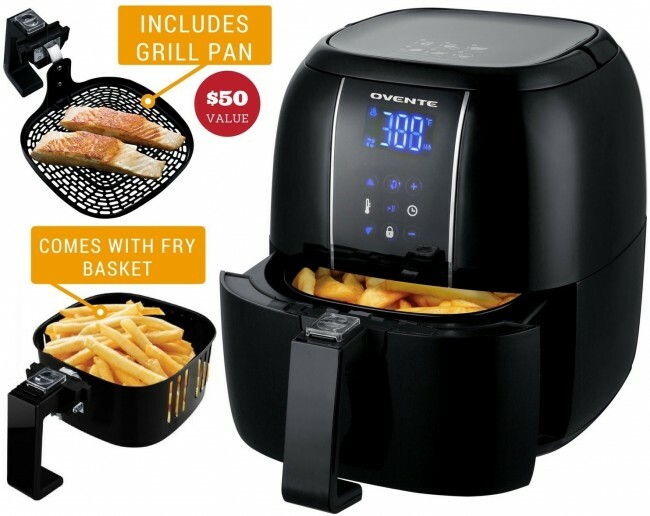 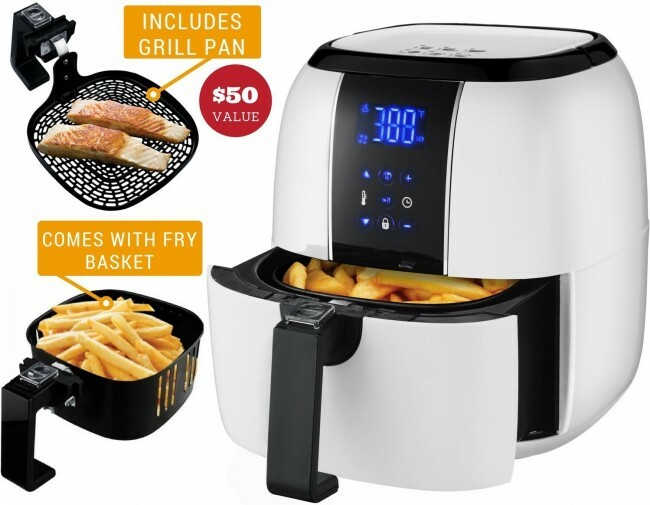 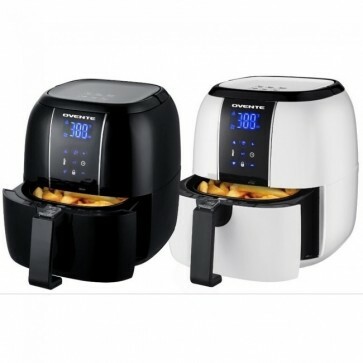 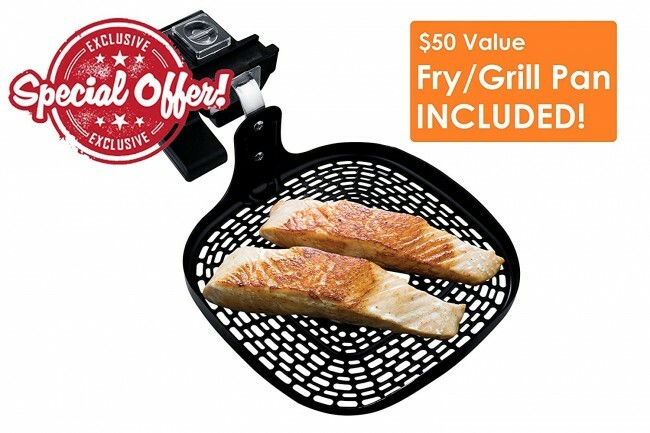 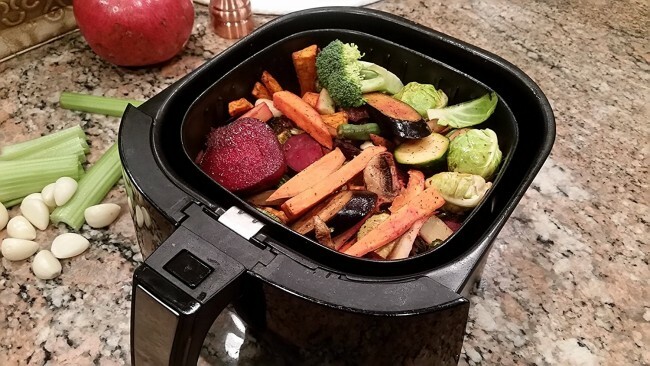 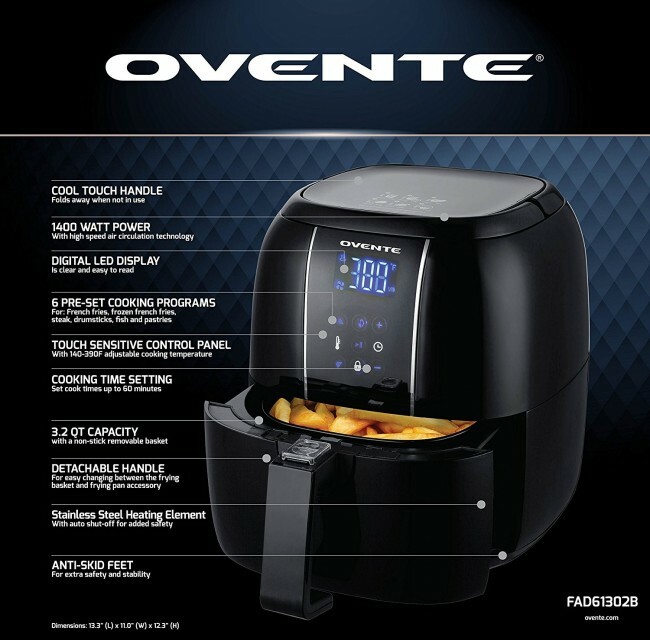 With its 1400-Watts of power, touch sensor temperature control, 3.2 Qt capacity with a non-stick removable basket, 6 cooking presets, anti-skid feet for extra safety and stability, easy eject button, LED indicator lights, stainless steel heating element with auto shut-off for safety, the Ovente Air Fryer has all the premium features to help enhance your culinary artistry!